Amanda, the chief logistics officer of a large wholesaler of office supplies, was excited about the start of Fall. It was getting cooler and the leaves were falling. Halloween was just around the corner, and that would mean the chance to go trick-or-treating with the children. She was also excited about implementing the company’s new marketing strategy based on e-commerce. After arriving at work on a Monday and getting her cup of coffee, she logged into the company’s new customer relations management (CRM) system. The system was designed to analyze customer sales and forecasted demand for products. As she tried to pull up the weekly sales analysis report needed for her monthly meeting, the system kept returning an error message: file not found. She decided to reboot and the same error kept occurring. Then she found she couldn’t find the quarterly or annual sales files. This was very strange. She called Miguel in IT saying she couldn’t pull up any of the sales files in the CRM system. Malware is a particularly dangerous threat to all firms. According to TechTerms.com, malware is “short for ‘malicious software’ and refers to software programs designed to damage or do other unwanted actions on a computer system.” Common examples of malware include viruses and worms. A virus is defined by Webopedia.com as “a program or piece of code that is loaded onto your computer without your knowledge and runs against your wishes.” and a worm is defined as “a program that replicates itself over a computer network and usually performs malicious actions.” Both can shut down your computer system and cause serious damage to your systems and software. This can lead to financial and economic damage for you, your clients, and even third parties. In 2013 alone, there were 30,000,000 new malware threats in circulation. There were an average of 82,000 new malware threats per day in 2013. A recent study shows that almost one in every ten Android apps is either partially or completely affected with malware. More than 1,000 U.S. businesses have been infected with a malware program that targets point-of-sale systems and steals credit and debit card data. 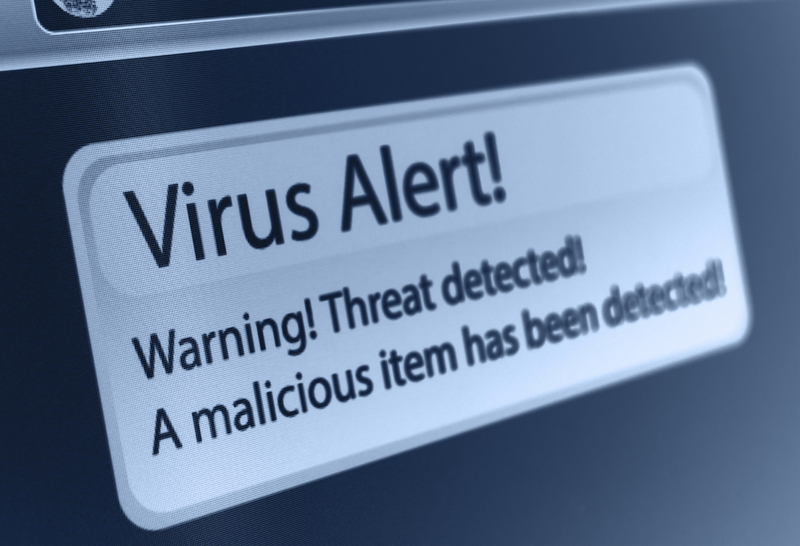 In short, malware attacks are widespread, dangerous, and growing in number. And they can wreak serious financial harm on your computer systems as well as affect your clients. With that in mind, a key element in any firm’s defense against malware attacks is having cyber insurance coverage that includes malware as a covered cause of loss. If malware is included as a covered cause of loss, then additional coverages that can repair your computer system’s functions and restore corrupted data can come into play. This can help to resolve the effects from a malware attack. Accordingly, having coverage in your cyber insurance policy to address malware attacks is vital to ensuring your firm can cope with and survive a malware attack. For more on cyber security, view our video Insurance 101: Cyber Security and Your Small Business. For more on cyber insurance coverage, contact your independent insurance agent. Malware attacks can be dangerous for your computer. If it is strong enough it can harm your computer permanently. Users should be beware of virus attacks. Installing an antivirus is necessary. Great Article! You have written a great article. If you want to run computer or laptops smoothly then start using antivirus, if you face any problem in that contact to McAfee Customer Support.